Sci-fi action trilogy co-written and directed by Andy and Larry Wachowski. In 'The Matrix' (1999) Keanu Reeves stars as Neo, a young computer hacker who comes to believe that the world around him is not as it appears to be. With the aid of mysterious subversive Morpheus (Laurence Fishburne), Neo discovers that his whole existence as he knows it is a lie. 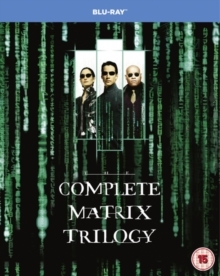 Together with Morpheus' acolyte Trinity (Carrie-Anne Moss), Neo begins to fight back against the computerised hierarchy that is secretly manipulating the human race. In the sequel 'Matrix Reloaded' (2003) Neo, Trinity and Morpheus continue their fight against the machines, as they advance towards Zion, the last human city on Earth. While Neo learns to harness his new abilities, he seeks out the Oracle (Gloria Foster) in his search for the source of the Matrix. In the final instalment, 'The Matrix Revolutions' (2003), Neo's quest for truth and journey into the real world has left him drained of his power and trapped on a subway station caught between the Matrix and the Machine World. Meanwhile, Agent Smith (Hugo Weaving) is now totally out of control and threatening to destroy both worlds. With the oncoming threat imminent, the rebels manage to bargain Neo's freedom and begin their final quest for freedom.